*CHATSWORTH, CA – Image Entertainment in conjunction with Swirl Films and Up To Parr Productions today announce the theatrical release of “35 & Ticking, ” a romantic comedy which looks at a group of thirty-somethings trying to figure out life, love and marriage. Written and directed by syndicated radio host-turned-filmmaker Russ Parr, “35 & Ticking” stars an all-star ensemble cast with Nicole Ari Parker, Tamala Jones, Kevin Hart, Keith Robinson, Wendy Raquel Robinson, Meagan Good, Mike Epps, Clifton Powell, Jill Marie Jones, Kym Whitley, Luenell, Dondre Whitfield and Aaron D. Spears. “35 & Ticking” will open in theatres on Friday, May 20, 2011 in Atlanta, Washington, D.C. and Baltimore. “35 & Ticking” centers around the lives of Victoria, Zenobia , Clevon, and Phil — all friends approaching the age of 35 and struggling to build the families they’ve always dreamed of. While Zenobia (Parker, “Soul Food,” “Brown Sugar”) is still looking for a man, Victoria (Jones, “Castle,” “One on One”) is married to a man who doesn’t want children. Clevon (comic Hart, “Not Easily Broken,” “40 Year-Old Virgin”), meanwhile, is too geeky to get a woman, and Phil (Keith Robinson, “Dreamgirls”) is already married with children, but his wife is not very interested in being a mother. All four of them try to rectify their romantic lives and futures while their biological clocks tick away. “In the spirit of all of the great African-American romantic comedies we have witnessed over the last 15 years, we felt it was a necessity to open this film theatrically. ’35 & Ticking’ is an amazing mixture of comedy, love and heartache … just what our underserved film-going community needs. One Village Entertainment is proud to be the distributor for this movie, as it is a throwback to our heyday of classic films,” remarked Brett Dismuke, VP of Acquisitions, for Image Entertainment’s urban division. 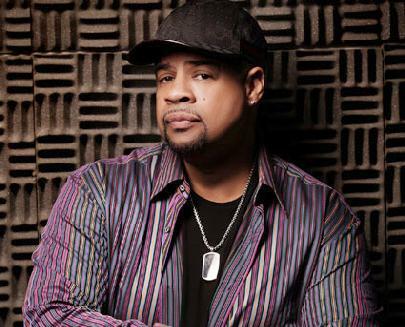 A true Renaissance man, Russ Parr’s career has evolved from a stand-up comic and recording artist to a top-rated, nationally-syndicated radio host heard weekdays by 3.2 million listeners in 45 cities across America. And he’s an independent filmmaker too. With Up to Parr Productions in conjunction with Swirl Films, Parr has written, produced and directed three films – that is, “The Last Stand,” “Something Like a Business,” and “Love For Sale.” Currently, all titles are available on DVD. Parr is working on the script for the sequel, “Something Like a Business 2” and preparing to shoot “The Under Shepherd” in 2011. One Village Entertainment, a division of Image Entertainment, Inc., is devoted to the development, production and acquisition of diverse products specifically targeting consumers seeking quality, urban entertainment. The division distributes feature films, comedy specials, staged plays, documentaries and music content targeting the African-American consumer.